with barbed wire above chain link fence, welded mesh fence, razor mesh fence, or etc. 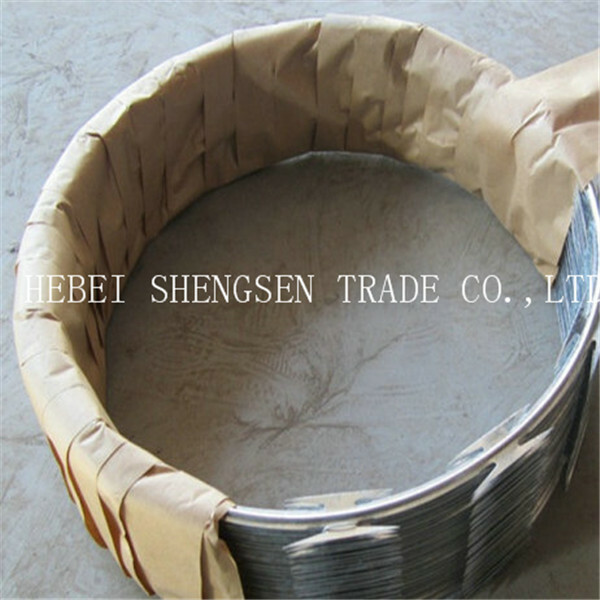 Materail: galvanized steel, stainless steel 304,430 etc. 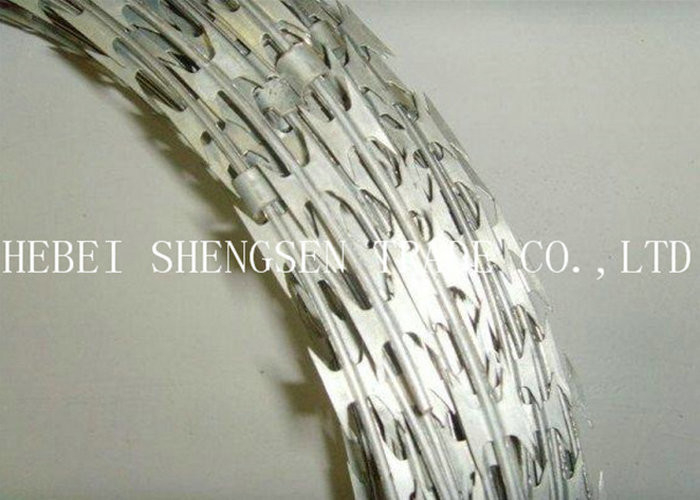 Surface treatment: hot dipped galvanized,PVC coated etc. Feature:easily assembled and easy to transport,ecofriendly,elegent apperance,professional technology support. 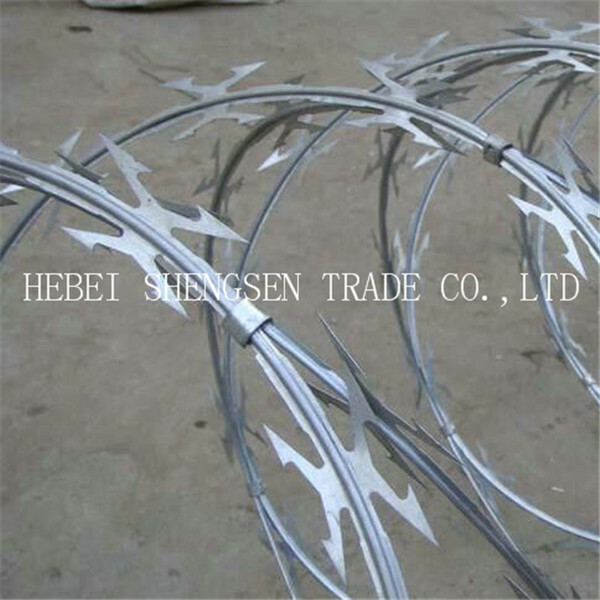 Our Razor Wire is widely used by in military field, prisons, detention houses, government buildings and other national security facilities; it is also used as fence for cottage and society fence, and other private buildings. Color:: Blue, Green, Yellow etc.